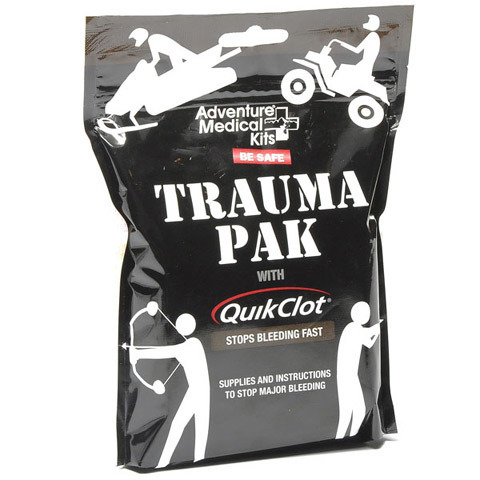 The Adventure Medical Kits Trauma Pak with Quickclot, is something you should have on hand just in case something goes wrong. This is the perfect kit for hunters, hikers, and backpackers. The Adventure Medical Kits Trauma Pak with Quickclot comes complete with sterile gauze, wraps and duct tape to keep dressings in place or to devise a seal for a sucking chest wound, non-latex gloves, bio bag, to dispose of waste and a hand instruction sheet for diagnosing and treating wounds.